PICTIVE to skrót od Plastic interface for Collaborative Technology Initiatives through video exploration. 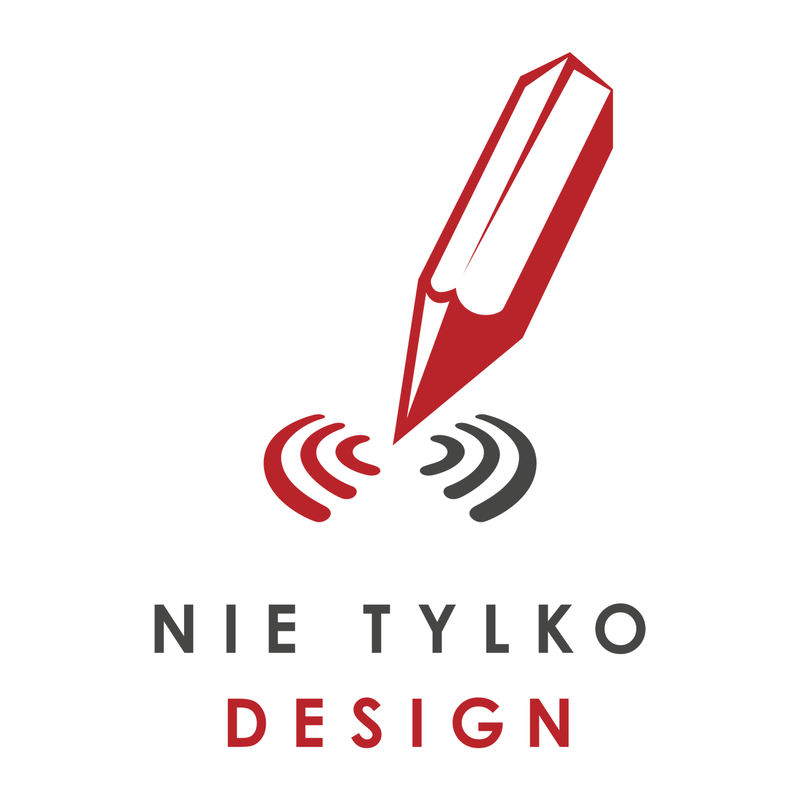 Interesująca metoda wspólnego projektowania (participative design) opierająca się na wykorzystaniu prostych, podstawowych elementów wyposażenia biurowego, do projektowania interfejsów – bez wykorzystania technologii (za wyjątkiem kamery). 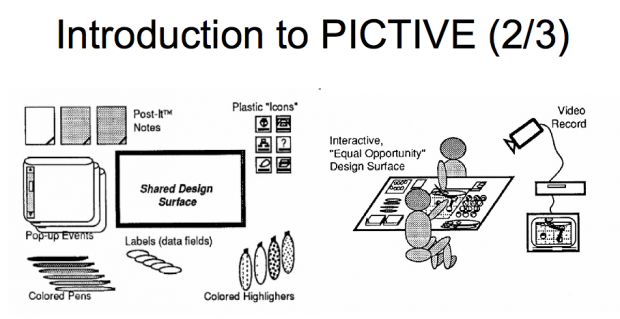 The PICTIVE object model consists of common office objects, such as colored pens and Post-It™ notes, as well as scissors and removable tape for tailoring those materials. These low-tech objects are intended to be mapped onto com- puter functionality, usually as user interface objects. The materials may be supplemented with customized objects, such as proposed icons, or paper repre sentatlons of components of a windowing environment. Zapoczątkowana metoda pochodzi z początku lat 90-tych (!) 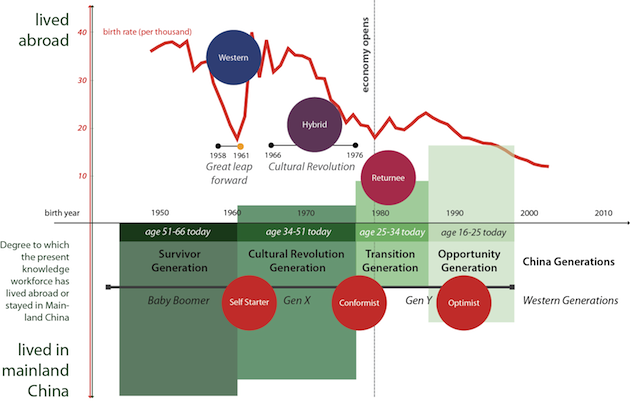 kiedy użyteczność ciągle nazywana była human factors, graficzne środowiska wyglądały dramatycznie źle, a większość czytelników tego serwisu (włącznie z autorem) odbywała edukację w szkole podstawowej. Under the PICTIVE process model, these low-tech objects are used by all participants to express their ideas to one another. Each participant is responsible for explaining her or his personal and/or professional stake on the design, and for explaining her or his special expertise. This may take the form of a mini-tutorial, or a demonstration of a prototype that was developed following earlier sessions. Usually guided by the users’ narrative of their task flow, the group then uses the low-tech objects to brainstorm ways of adapting technology to the users’ work process; these discussions may also lead to changes in the work process itself, with or without technology interventions. Often, diverse domains and perspectives are communicated through the concrete, low-tech artifacts. Each session concludes with a short design walk-through, captured on video. This helps to focus the group’s achievements, building mutual commitment and collective competence. It also provides a video “minutes of the meeting” that can communicate the group’s design to developers or to other groups (e.g., when multiple stakeholder groups are geographically separated). The PICTIVE participation model contains three convergent guidelines for deciding who participates in a PICTIVE session. First, diverse expertise contributes unique knowledge to the design. Second, all phases of the software life cycle are likely to be facilitated by the enfranchisement and co-ownership of people who are “downstream” from the design process. Third, we follow the democratic concept that people whose work lives will be influenced by a design should participate In decisions about that design adapted for our North American corporate culture. 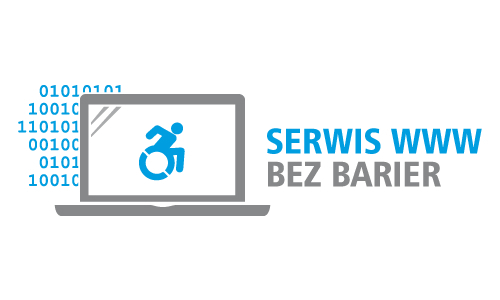 Grafika pochodzi z prezentacji stworzonej w ramach kursu Roman Bednarika User-Centered Design 175421 w 2009 roku. 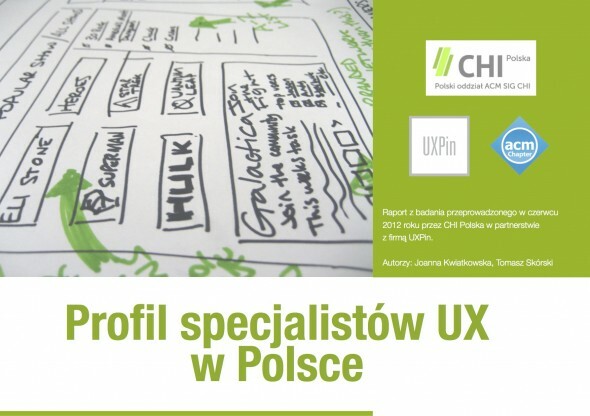 Marcin Treder, CEO UXPin opublikował w Smashing Magazine dość interesujący artykuł Beyond Wireframing: The Real-Life UX Design Process w którym prezentuje swoje wnioski z wywiadów z projektantami w kontekście podejścia User Centred Design. The four points mentioned above (collecting information about the problem, getting ready to design, design, approval – dop. ts) form a pattern visible in the majority of design processes that we went through with our interlocutors. You might have noticed that not a lot of iterative research is done in these processes. Sadly, the classic usability study is not a permanent part of the process. Why? The answer is simple: budgets are tight. Problems that appeared in the company that I used to work for appeared to be common. Tight budgets are forcing UX designers to tailor their processes and skip costly research. I believe the best answer to this problem is guerrilla research methods. Startups do adapt guerrilla research as a part of the customer development process, but more “mature” companies, in my opinion, are strangely afraid of spontaneous and methodologically questionable yet efficient and cheap research methods. Kusi mnie zostanie adwokatem diabła i postawienie jednak innego pytania: czy faktycznie użycie guerilla reaseach methods (uproszczonych badań?) przez niespecjalistów jest będzie prowadziło do dostarczenia produktów o jakiejkolwiek wartości? Nie raz i nie dwa słyszałem dumne: badamy użyteczność naszego produktu dla dramatycznie złych produktów. Wielokrotnie słyszałem o wycofowaniu się z badań z użytkownikami w procesie tworzenia oprogramowania, bo ” badania nic nie wykryły” lub “nie niosły żadnej wartości“.